Research. Experience. Insights. Benefit from other companies’ success to create your own. Explore our resources for insights into how your company can benefit from a successful training program – and by partnering with Tooling U-SME. From case studies to readiness assessments, get the information you need. Right here. Right now. Find out what happens when Tooling U-SME partners with companies like yours to create the results-driven training programs they need. Don’t take our word for it. 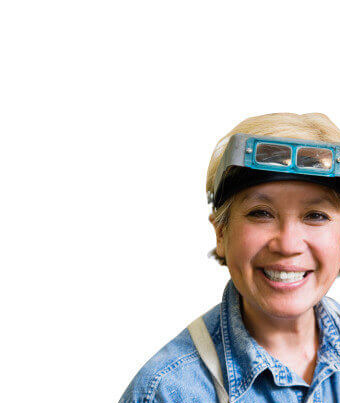 Hear from some of our customers about the benefits of working with Tooling U-SME. Review our newsletters to catch up on industry news, research highlights, and the latest findings on workforce development. 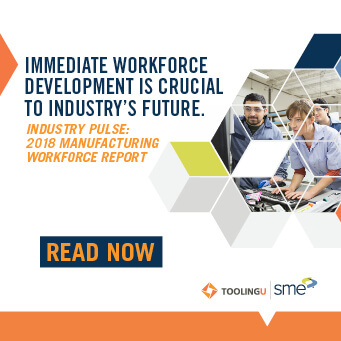 Read white papers and various research studies commissioned by Tooling U-SME to gain new insights into the skills gap and what companies are doing to address it. Read our blog for perspectives from industry experts on the changing landscape of manufacturing and its workforce. Take our free online test. Evaluate your company’s readiness to meet workforce needs today and in the future. Our team attends dozens of events throughout the year to connect with folks like you and share our passion about workforce development. Meet us, learn our story, and see what we can do for you. Take an in-depth look at the greatest challenges facing manufacturing, and discover our expert solutions. A big benefit of Tooling U-SME training is the LMS. It has been very advantageous for helping us providing accurate records for ISO inquiries.